The disclosure is in the latest Register of Members’ Interests. JOBS MINISTER RICHARD Bruton was given an expensive watch from a Saudi Arabian minister on his trade mission to the country last year, but had to surrender it under ethics legislation. Bruton was given the watch by a minister of the Saudi Arabian government on his controversial trade mission with Taoiseach Enda Kenny to the Gulf region last year. It was surrendered in accordance with Section 15 of the Ethics in Public Office Act 1995 which states that gifts worth over IRL£500 or €700 are automatically property of the State and must be disposed of either by sale or gift. At the time of publication we weren’t able to establish what sort of watch it was, although it’s likely to have been a nice one if it was worth over €700. The gift is disclosed on the latest Register of Members’ Interests 2014 that has been published by the Houses of the Oireachtas today. The list discloses all of the property, land, directorships and others interests of TDs. In most cases deputies disclose the land and property they own. Elsewhere, former Labour minister Pat Rabbitte discloses his work as a columnist for the Sunday Business Post. While independent TD Shane Ross declares the gift of a ticket to Wimbledon which he received from Henderson Global Investors, a London-based investment company. Former tánaiste and foreign affairs minister Eamon Gilmore disclosed quite a bit of travel since he stepped down from cabinet last summer. Fine Gael TD Brendan Griffin discloses his other job as an author having published his second novel ‘Secrets of a Haunted Winter’ in December 2014. … others, such as Roscommon South-Leitrim TD Michael Fitzmaurce, filled in all sections. He even gave some entertaining details. Email “Richard Bruton had to hand over an expensive watch he got in Saudi Arabia”. 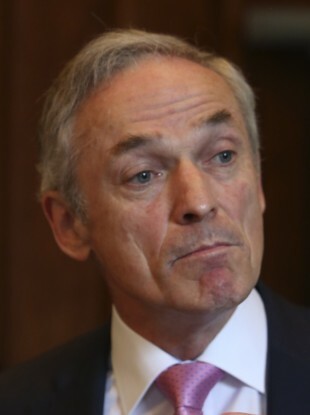 Feedback on “Richard Bruton had to hand over an expensive watch he got in Saudi Arabia”.